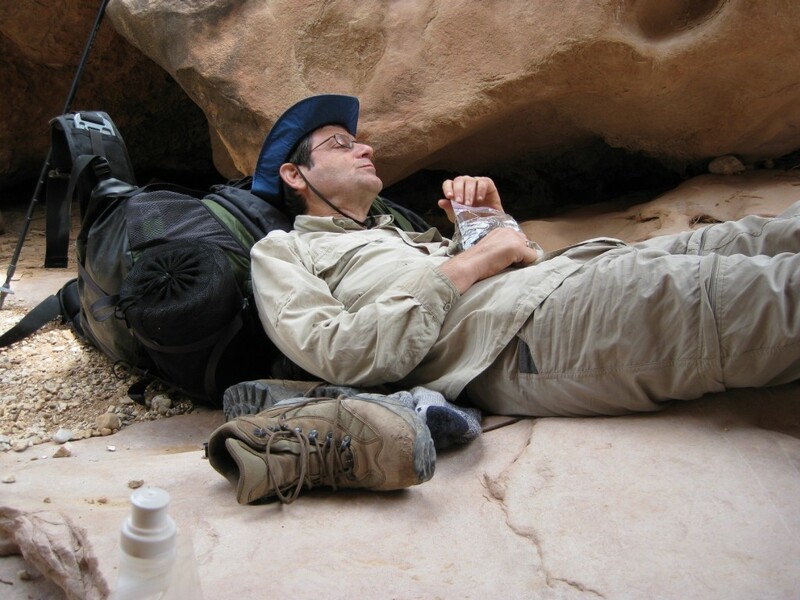 Bob Brintz rests in the Grand Canyon, United States, a year after being diagnosed with ALS (Lou Gehrig’s disease). Photo courtesy of Bob Brintz. ALS [amyotrophic lateral sclerosis also known as Lou Gehrig’s disease] is typically described as an incurable, untreatable, progressive, terminal disease that gradually causes total paralysis before it kills you within two to five years of onset. My experience with ALS began in early 2007 with an initial reaction of panic, fear, astonishment and disbelief; and a promise to my children that I would do everything in my power to survive. Now, I’m almost totally paralyzed. My arms, legs and hands are useless. I can no longer speak or swallow. I take water and liquid food through a tube in my stomach and require a ventilator connected to a tube in my throat in order to breath. I require the assistance of caregivers 24/7 (24 hours a day, seven days a week). I am typing this article with my eyes, using a computer that can also speak what I type. For six years, ALS has been my constant teacher. It has taught me that the human spirit is capable of embracing the full measure of life’s joy despite the presence of a profoundly disabling disease. I have also come to recognize that the mental anguish that most people with the disease experience is far more life-threatening than its relentless progression.